Commercial Blu-ray movies are usually have copy protection, you can not make a backup or conversion until the copy protection is removed. The good news is that you can download a Blu-ray ripper application like Pavtube BDMagic for Windows(best Blu-ray Converter)/Mac to remove Blu-ray copy protection. After that, you can easily convert non copy-protected Blu-ray movies to any file formats you like. 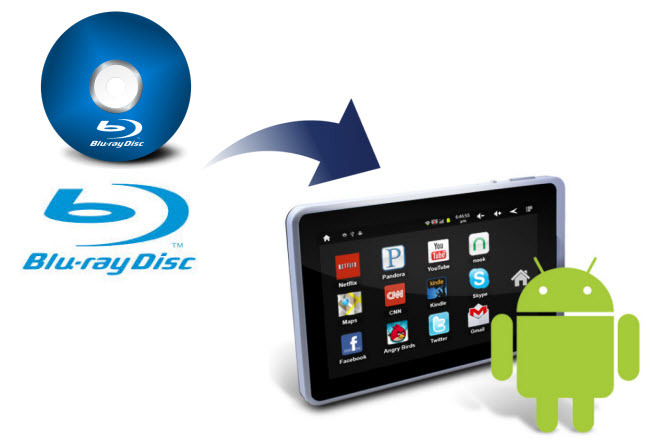 How to transfer Blu-ray movies to Android tablet? To watch Blu-ray movies on Android tablet, like Samsung Galaxy Tab S, Amazon Kindle Fire HDX, Google Nexus, Motorola Xoom, you need to convert Blu-ray movies to Android tablet playable formats first. Here, you can still use our above recommended Blu-ray ripper application, a practical toolbox with the ability of ripping and backing up Blu-ray movies in MP4 format for transferring to Samsung Galaxy Tab/Amazon Kindle Fire/Google Nexus/Motorola Xoom for movie enjoyment. To make the output file more suitable with your Android tablets, you can adjust the output file size in the “Profile Settings” window. 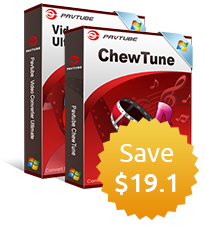 Install a free piece of Pavtube BDMagic to a Windows computer or Pavtube BDMagic for Mac to a Mac PC before purchase. Besides the disc ripping feature, this app shows well on editing videos. 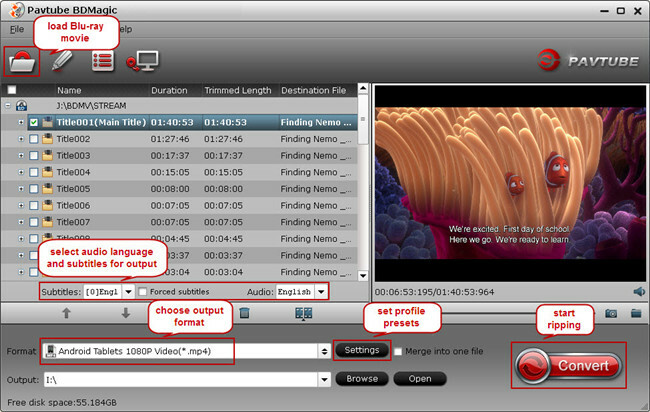 You could trim, crop, split, merge, add watermarks, attach subtitle files and more operations to create your own movie. Tip 1: Don’t forget to connect a Blu-ray Disc Driver with your computer via USB cable if your computer is not equipped with one. Insert the Blu-ray disc, launch the best Blu-ray to Android Ripper and load the disc. Or drag BD folder directly into this app if it is copied on PC beforehand. Tip 2: Pick up the preferred Subtitle track and Audio stream on the software UI. For movies like Avatar that include a foreign language, you are allowed to tick off forced subtitle box and just display subtitles when this foreign language is spoken. 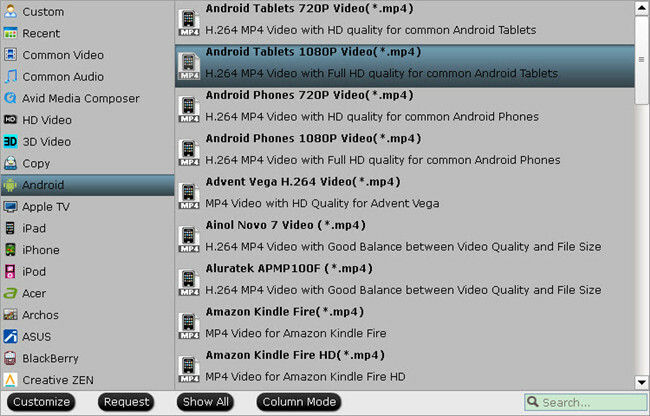 Tab on the “Format” bar, and select the desired video format for output. You could either choose the profile with your device’s name or pick up the general profile for Android tablet and adjust presets later for your device. Tip 3: In order to playback video on your Android tablet with the best result, you can adjust the output file size. Open “Profile Settings Window” menu, adjust the output file size according to your Android tablet video playback resolution. Hit on the big “Convert” icon and start to convert Blu-ray movie for Android. As soon as the conversion completes, you could locate the generated MP4 file from “Open output folder”, transfer to your Android tablet, and watch it on the move. How to burn Blu-ray movies to DVD disc? If you want to burn this Blu-ray MP4 movie and write to a disc, you can use the third party burning software such as “Nero” or freeware named “ImgBurn” to burn and then make playback on your stand alone DVD players.